The ‘last’ of the Imokilly Geraldines. Castlerichard, near Killeagh, was formerly known as Inchinacrenagh. 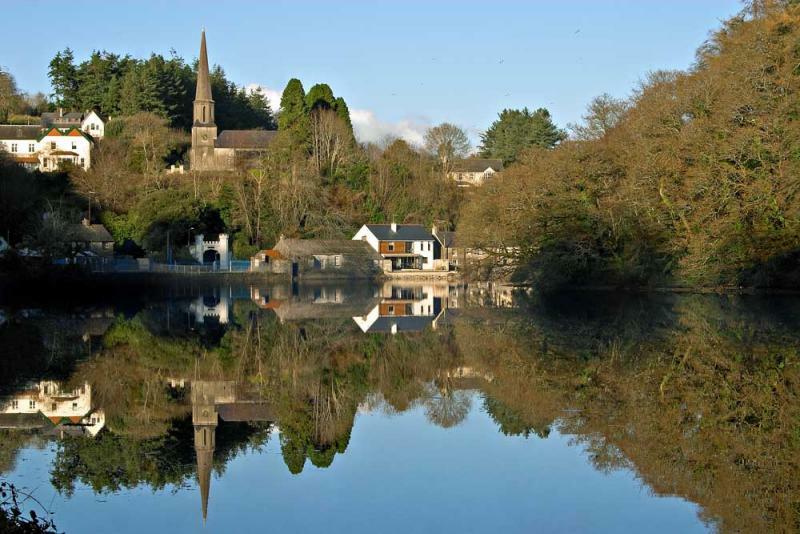 It was one of the principal seats of the Fitzgeralds of Imokilly and stands overlooking the Womanagh River, near the place that Diarmait MacMurrough is said by some to have left for England to seek help – thus bringing the Anglo Normans, to Ireland, including the Fitzgeralds. Inchinacrenagh may have been the first seat of the Seneschals of Imokilly. This post is dedicated to a lady in Australia who is a direct descendent of the Seneschals of Imokilly. 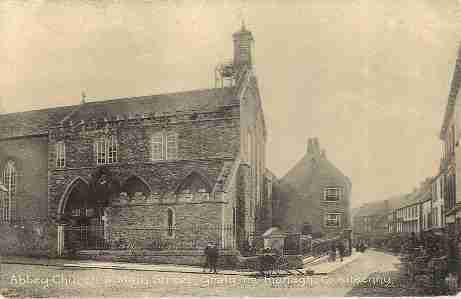 Sunday, 26 July 2015 is the ninetieth anniversary of the death of Dr Richard Fitzgerald of Midleton. A graduate of Queen’s College Cork, now University College Cork, he completed his medical studies in Glasgow and Edinburgh before returning to his native town as a doctor in general practice and as dispensary doctor attached to Walshtownmore East dispensary. He was held in high regard by all, especially the poor of whom he seemed to take special notice. Dr Richard was the son of Maurice Fitzgerald, who had managed the Munster Bank, later the Munster and Leinster Bank, in Midleton. Dr Richard Fitzgerald was unmarried and was survived by two sisters – one was Sr Mary Francis Fitzgerald of the Mercy Convent in Kinsale, and the other was Ms Charlotte Fitzgerald of Midleton, who was strangely omitted from the notice of his death. Richard Fitzgerald was buried in the family grave in Tallow county Waterford on Tuesday 28 July 1925. Richard’s father, Maurice had possession of a coloured stone known as the Imokilly Amulet. Strangely the present author saw another coloured stone in Glin Castle, County Limerick, some years ago. This stone was also known as the Imokilly Amulet. The late Desmond Fitzgerald, the 29th and last Knight of Glin, said it came into his family when an eighteenth century ancestor married Mary Fitzgerald of Imokilly, who brought the amulet with her to Glin. It seems odd that in the late 19th century the amulet was said to be housed in a bank in Midleton, presumably Maurice Fitzgerald’s bank. It is possible that there were TWO amulets linked to the Fitzgeralds of Imokilly. 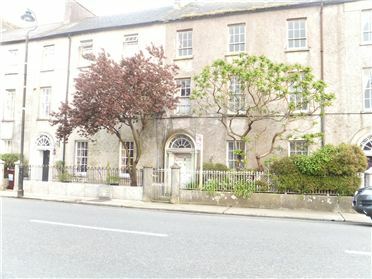 Old Bank House on Main Street Midleton, is the former premises of the Munster Bank, later the Munster and Leinster Bank, managed by Maurice Fitzgerald, the father of Dr Richard Fitzgerald. This is where the Imokilly amulet was said to have been kept. Why does this matter? And for that matter, why was Dr Richard referred to as the ‘last of the male line of the Imokilly (Castlerichard) Geraldines’? The word ‘Geraldines’ refers to anyone with the name Fitzgerald. Clearly there were plenty of Fitzgeralds in Imokilly at the time – including the Penrose-Fitzgeralds. The reference is to the office of Seneschal of Imokilly, created in the fifteenth century. The medieval office of seneschal was that of a governor of detached lands belonging to a monarch or feudal lord. 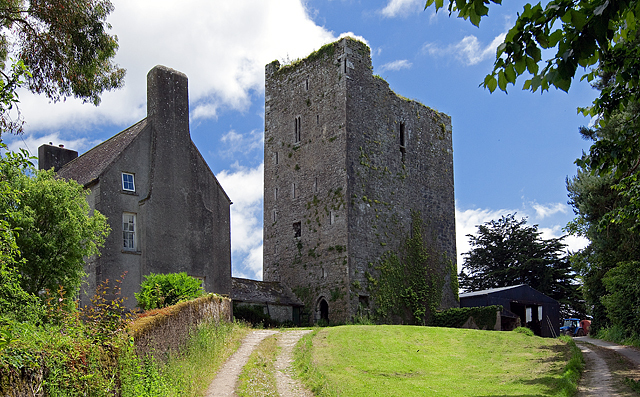 The manor of Inchiquin in Imokilly and other lands had become the source of some legal disputes in the later 1300s. The Butlers of Ormond were one of the claimants, as were the Fitzgeralds of Desmond. But the Crown also had claims of inheritance, as did other parties. The whole matter was fraught with expense and offered serious potential for strife. By creating the office of seneschal the authorities could govern these debatable lands with some profit, whilst avoiding further disputes. Thus the term ‘Imokilly Geraldines’ goes back to the 1420 when James Butler, 4th Earl of Ormond, and Lord Lieutenant of Ireland, created the post of Seneschal of Imokilly for his cousin, James FitzGerald, 4th Earl of Desmond (also called ‘the Usurper’). Shortly after this the Earl of Desmond made over this post to his kinsman from Kerry, Richard FitzMaurice FitzGerald. 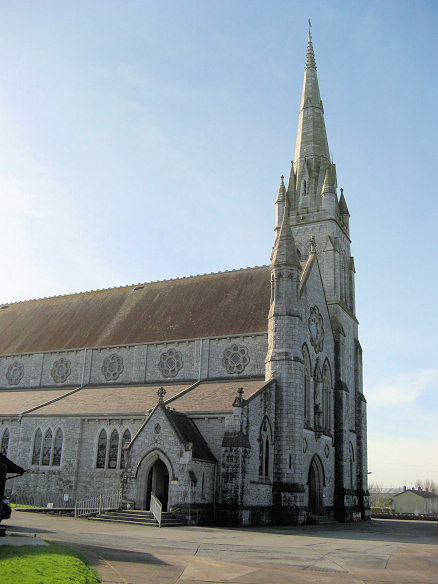 Richard’s older half-brother, Edmund, had already moved to Rathcoursey and Ballycrenane in Imokilly, which he inherited from his mother, Marjorie de Courcey. Richard FitzMaurice FitzGerald was now officially the most powerful layman in Imokilly. 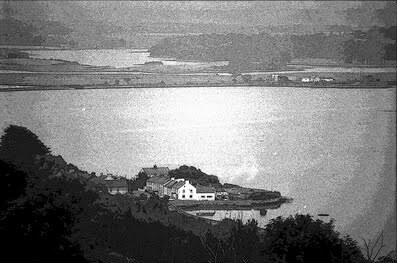 Where he settled is debatable – but it is suggested that his base was at Inchinacrenagh or Castle Richard as it is now called, from a later descendant. In theory the post of seneschal should have been granted to someone else on Richard’s death, but it went to his son Maurice and thereafter became hereditary. Effectively this put the FitzGeralds of Imokilly on a par with the hereditary Knights of Kerry and of Glin and the White Knight (FitzGibbon). These hereditary knighthoods were unusual, indeed unique to the Desmonds, but did not carry the title ‘Sir’. They were a form of Gaelicization of English titles – the Fitzgeralds of Desmond were clearly going native. During the next century, Richard FitzMaurice’s descendents spread rapidly through Imokilly acquiriing estates and building tower houses. The sad ruins of Ballyoughtera Church near Castlemartyr house a tomb that was the burial place of the Fitzgeralds, Seneschals of Imokilly. 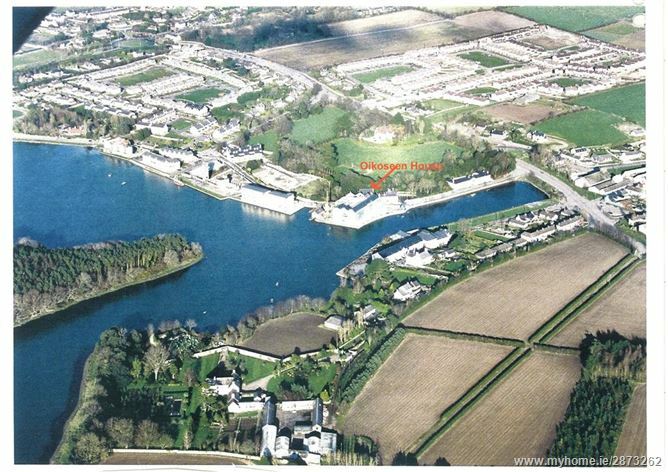 Maurice, the second Seneschal of Imokilly, settled at Ballymartyr, now called Castlemartyr. This move westwards was probably to ward off the encroaching Barry family, who held the next barony of Barrymore. It is likely that Maurice built most of the castle that gives the village its modern name. This location placed the Seneschal in a position from which it proved easier to dominate the whole barony. Maurice was succeeded by his son Edmund. 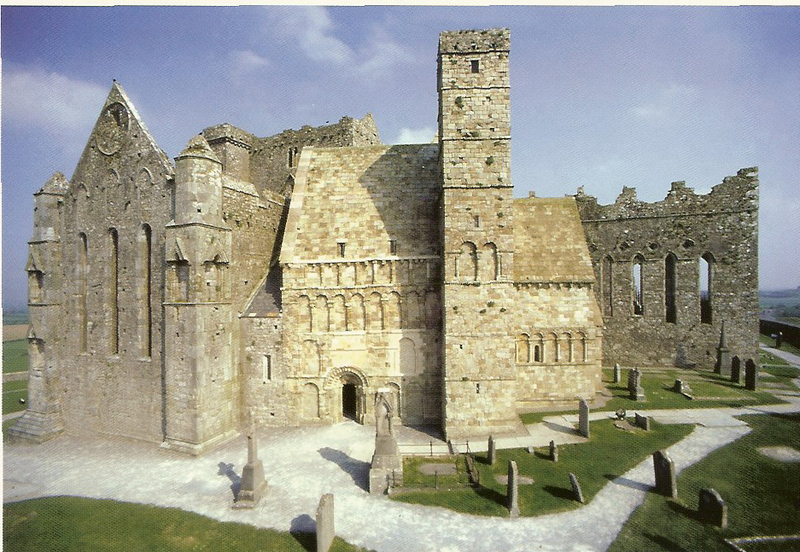 Edmund upset everyone by getting his son, John, appointed Bishop of Cork and Cloyne, to the chagrin of the Earl of Desmond and the opposition of the MacCarthy clan. Thus began the clerical line of the FitzGeralds of Imokilly. Edmund was succeeded by his son Richard as fourth Seneschal and Richard was succeeded by his son Maurice. Maurice’s son Edmund became the sixth seneschal, who probably died before 1565, for his son John FitzEdmund FitzGerald was then assisting the Earl of Desmond at the Battle of Carrigaline. 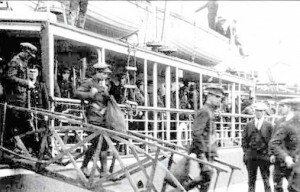 This John FitzEdmund FitzGerald was one of the key figures involved in the two Desmond Rebellions, being a key ally of the ‘Archtraitor’, James FitzMaurice FitzGerald, who had instigated the rebellions. Pardoned after the first rebellion, FitzEdmund was very quick to join the second revolt. Narrowly failing to kill or capture Captain Walter Raleigh at Chore (now Midleton) in 1582, John FitzEdmund was besieged at Castlemartyr by Thomas Butler, Earl of Ormond and Raleigh. 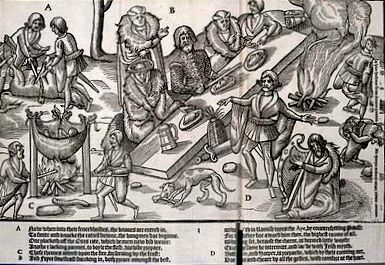 The Seneschal’s mother, brother and infant son were executed by the Crown forces in front of his eyes at Castlemartyr, a gesture that, one presumes, is unlikely to have encouraged his loyalty to Queen Elizabeth I. (Bizarrely, the Castlemartyr Resort Hotel, which stands next to the castle where this took place, now provides clients with Lady FitzGerald’s Afternoon Tea – I have been reliably informed that this is a reference to Lady Arnott, née Fitzgerald, who bought the estate in 1906. It has nothing to do with the poor woman who was so brutally executed.) Eventually, in 1583, reduced to just twenty-eight men, John FitzEdmund FitzGerald, Seneschal of Imokilly, surrendered. Allowed to retain his lands and behaving himself, the Seneschal must have been surprised to be imprisoned by Thomas Norris in 1587. He was held in Dublin Castle while the Crown and various ambitious planters and officials argued over the division of his estate of thirty-six thousand acres. But before he could be released with most of his estate restored, the last real Seneschal of Imokilly died in his prison in 1589. 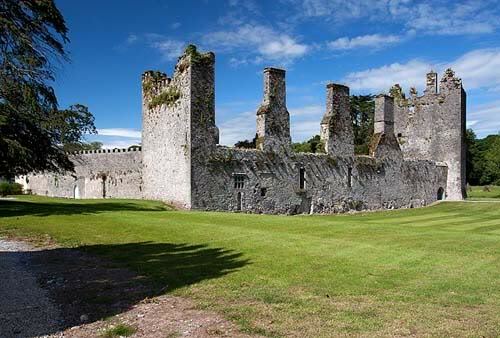 Castlemartyr Castle was the principal seat of the FitzGeralds, Seneschals of Imokilly. Called the ‘Madrai na Fola’ or Hounds of Blood for their savagery. The towerhouse at the right is the most authentic FitzGerald structure. The great chimneys come from the manor house later constructed within the walls of the castle by Edmund Fitzgerald in the early 17th century. The castle was confiscated under Cromwell and given to Roger Boyle, Lord Broghill, whose descendents held it until the twentieth century. John FitzEdmund FitzGerald’s young son, Edmund, was just a year and a half old when his father died. Granted to Captain Moyle as a ward, Edmund was eventually restored to most of his father’s estate in 1609. He is credited with adding the large and domestic range on to the tower house built by his ancestors. However, although Edmund was called Seneschal locally, even by Richard Boyle, Earl of Cork, he was not officially recognized as such, the post being deemed to have died with his father. With improved government control in County Cork the Crown felt it no longer required a seneschal in Imokilly. The involvement of Edmund’s son, Colonel Richard Fitzgerald, in the rebellion of 1642 threatened everything. 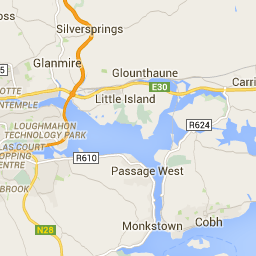 Much of Imokilly was controlled by the Protestant army of Cork, controlled by Lord Inchiquin and Lord Broghill. When Cromwell’s forces overran Ireland. Edmund went into exile in Brussels where he died in 1654. Colonel Richard returned from exile with Charles II and was restored to some of his father’s lands at Glenageare and Inchinacrenagh, but Ballymartyr or Castlemartyr was now securely in the hands of Roger Boyle, Lord Broghill. 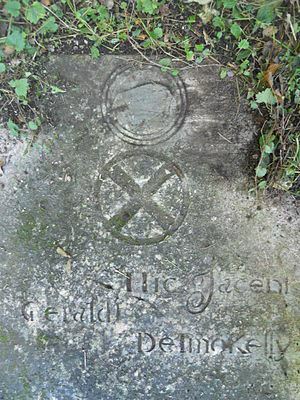 Hic Jacent Geraldi de Imokelly – here lie the Geraldines of Imokilly. The tomb of the Fitzgeralds of Imokilly in Balloughtera church. Note the boar crest at the top – this seems to have been adopted as the specific crest of the Seneschals. The design of the tomb and the lettering suggest a seventeenth century date of construction. Colonel Richard Fitzgerald gave his estate at Inchinacrenah to his younger brother Maurice, while Richard’s son Edmond inherited the main Glennageare estate. Although he supported the Catholic King James II, Edmund managed to hang on to some property, which was inherited by his son John in 1699. 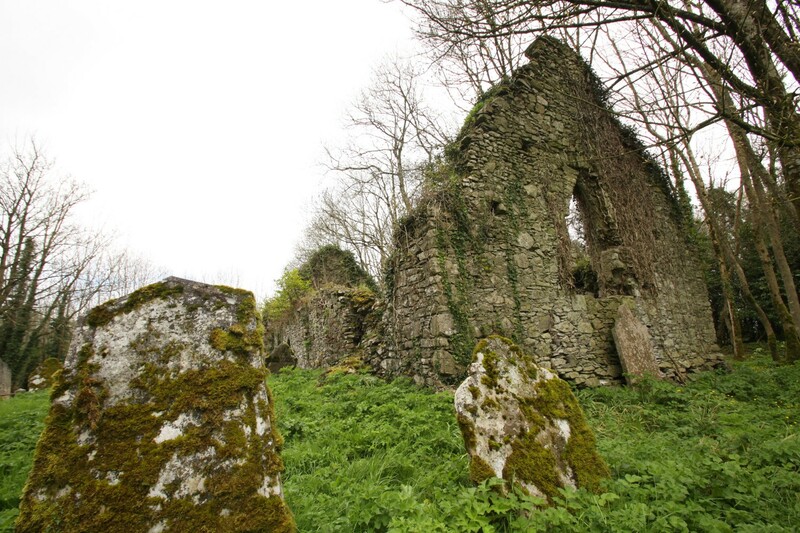 John moved to Ballinacorra and conformed to the established Church to retain his estates under the Penal Laws. Appropriately, John Fitzgerald, the would-be Seneschal of Imokilly, even became MP for Castlemartyr in 1727, but died the next year leaving only a sister, Mary, to inherit. She married Thomas FitzGerald, the Knight of Glin, and is said to have worn the trousers in the marriage, being known as the Bean Rídere or Lady Knight. She is also credited with bringing to Glin Castle the amulet that the present author saw there. With the death of John Fitzgerald MP in 1728 there ended the direct line of descent from John FitzEdmund FitzGerald who died as the last effective, and real, Seneschal of Imokilly in Dublin Castle in 1589. The Imokilly Amulet was a ‘luck’ or charm that was claimed to protect the Fitzgeralds and their property from harm. One ‘Imokilly Amulet’ was seen by the author in Glin Castle County Limerick, but where did Maurice Fitzgerald’s amulet end up? But what of the descendents of Maurice who inherited Inchinacrenagh from Colonel Richard? Maurice died in 1699, being succeeded by his son Richard, who died in 1735. This Richard inherited from his cousin, the MP John Fitzgerald, any claim to the title Seneschal of Imokilly. Richard was succeeded by his son Richard who actually changed Inchinacrenagh to Castle Richard, the name by which it is known today. Hence the reference to the Castlerichard Geraldines in the death notice of Dr Richard Fitzgerald of Midleton. 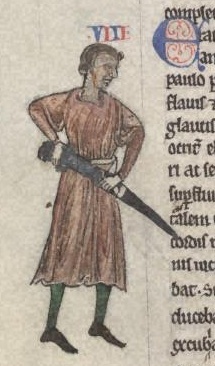 However this Richard Fitzgerald did not inherit everything – the Penal Laws required that the estate be split if the heirs were Catholic – so the townland of Carrigrostig was inherited by his younger brother, Dr Thomas Fitzgerald of Youghal, On Richard’s death his estate was inherited by his son, Richard Óg (Richard the younger), while the younger son, Dr Maurice Fitzgerald of Killeagh, inherited his unmarried uncle Thomas’s lands of Carrigrostig. The Penal Laws were no longer in force so it was now possible to pass on the full inheritance. Richard Óg’s son, John Fitzgerald, ran into financial difficulties in the 1850s and sold Castlerichard. Thus ended the Fitzgerald connection to one of the finest tower-houses in Imokilly. But the claim to the title Seneschal of Imokilly did not die with John – for the descendents of Dr Maurice Fitzgerald inherited the claim, although they no longer held any of the land. Thus, Dr Richard Fitzgerald of Midleton was a direct descnedent of Dr Maurice Fitzgerald of Killeagh and Carrigrostig, who was himself a direct descendant of John FitzEdmund FitzGerald, Seneschal of Imokilly, who died in Dublin Castle in 1589. Apparently this is what the Cork Examiner was referring to when Dr Richard was called ‘the last of the male line of the Imokilly (Castlerichard) Geraldines.’ It happened exactly ninety years ago. Link (death notice of Dr Richard Fitzgerald of Midleton, published in the Cork Examiner 28th July 1925):- DrRichardFitzGerald. .References. Paul MacCotter: ‘The Fitzgeralds of Imokilly’ in The Book of Cloyne, edited by Pádraig Ó Loingsigh, Cloyne Literary and Historical Society 1994. ‘Pedigree of Ftizgerald, Knight of Kerry; of Fitzgerald, Seneschals of Imokilly; and of Fitzgerald of Cloyne,’ in Journal of the Royal Society of Antiquaries of Ireland Vol 4, no 27, 1876. National Library of Ireland places Irish Catholic Parish Registers online. As of 1.00pm Irish time today, the National Library of Ireland has placed its microfilm records of the Irish Catholic parish registers online. This is a HUGE step forward in making genealogical resources available to people who cannot visit Ireland or who don’t have the time to visit the NLI in Dublin. And all this despite the savage cutbacks in government funding for the NLI in recent years! It’s a truly heroic achievement, so well done to all the people involved. Now all they need is a sponsor to do with the microfilm what the National Archives did with the 1901/1911 census records – make them more interactive and more readily searchable! I’ll post more on this later, but before you dive in please remember – read the FAQs carefully! Happy hunting – and it IS a hunt! Searching for the old homestead – a short guide to using Irish townlands in genealogical research. Whaddya mean you’re lost? 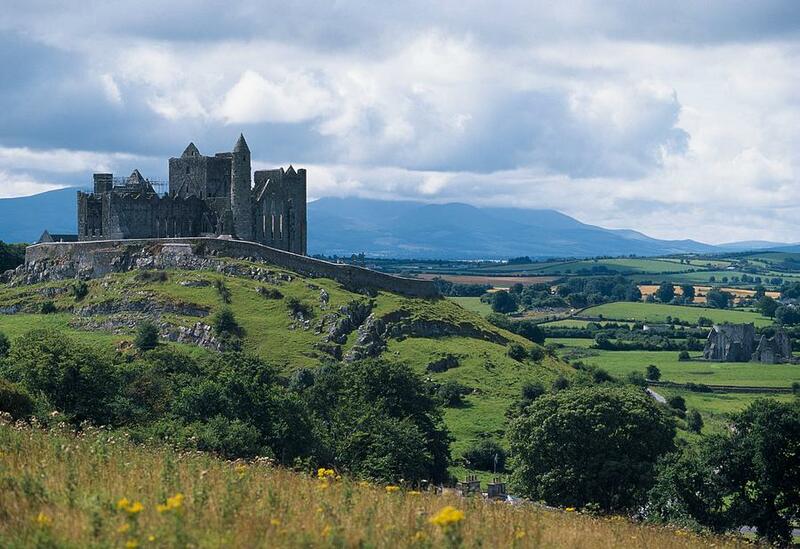 You can’t get lost in Ireland! It’s an island isn’t it? And no, this isn’t an Irish signpost. Well maybe not……. Several months ago I published a post on townlands – Ireland’s original and ancient answer to postcodes. This is an interesting item on using townlands as part of your genealogical research.I would suggest that readers take particular note of the similarity of townland names and their repetition in the same county. The golden rule is caveat emptor – don’t buy the first bit of information you get…..check it out, and then double check! Good luck and happy homestead hunting! 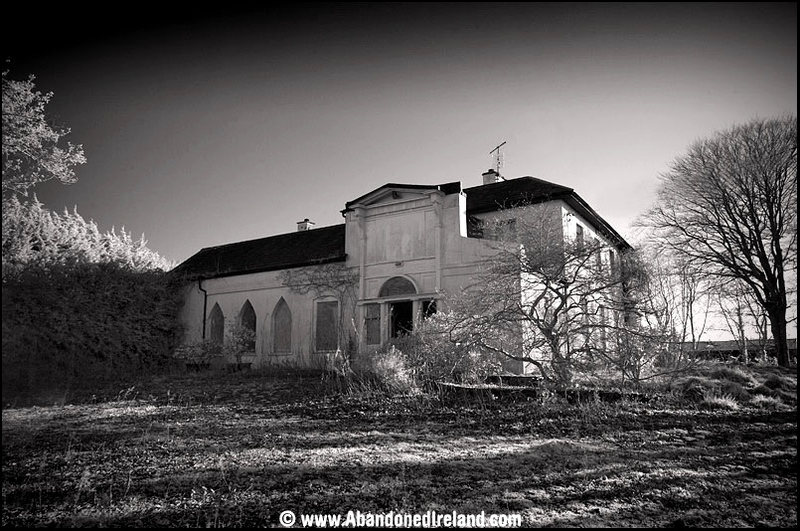 Someone’s old homestead…….. somewhere in Ireland. Townlands have been the basic unit of land division in Ireland since the medieval period, with origins perhaps going back much further. 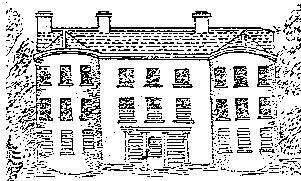 some are relatively new – such as the townland of School-lands in Midleton which certainly didn’t exist before 1696, when Midleton School, or Midleton College as we now call it, was founded. As I mentioned in my previous post on the subject, townlands (or ploughlands) are not of a uniform size – being dependent on the fertility of the land contained within the townland boundaries. 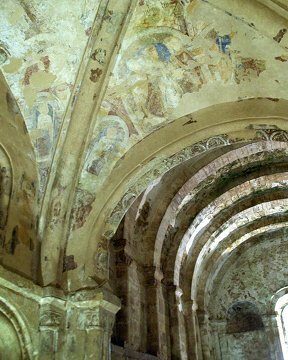 And they were not always rigidly fixed either – several of them changed over the centuries, such as the cre. Many of them have local sub-divisions which never appear on a map because these sub-divisisons are unofficial. Castlredmond townland, which lies between Midleton town and Ballinacurra village is a classic example. It sprawls from the shore of the Owenacurra estuary and Ballinacurra creek to Carrigshane rock. A sprawling townland needed to be subdivided by the inhabitants as a way of ascertaining who actually lived where. Bailick, Lakeview, Cronin’s Rock, Rocky Road, Ashlin Road, Carrigshane Rock (which is NOT in the townland of Carrighane!) all mark out divisions of the townland. But these names may not appear on official maps except for very specific locations or reatures, such as a road or a house. Technically these names should only apply the specific feature but in Ireland, this is usually disregarded. Well, rules were made to be broken. Aerial view of the Ballinacorra and the western part of Castlredmond. The Creek of Ballinacorra runs from the bottom left to the right midground. This creek is part of the inner reaches of Cork Harbour. The stretch of water leading off from the center to the left midground is the estuary of the Owenacurra River which flows from the north. This view is taken from the south west towards the north east. Ballinacorra village is right at the end of the creek. Ballinacorra House and its farm buildings are on the centre foreground (bottom of picture). 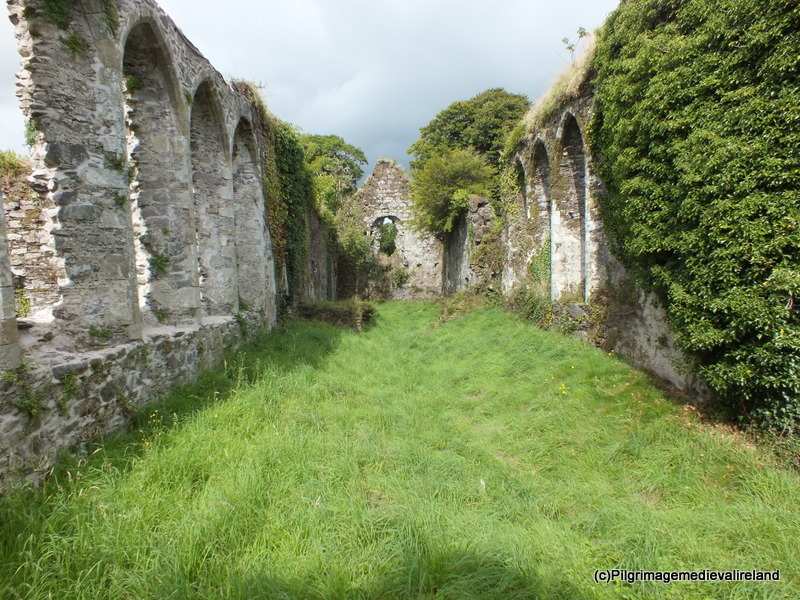 Slightly to the left of these (follow the angled wall) is a small peninsula on which stands the ruined medieval St Colman’s church and graveyard. On the other side of the wall from the churchyard is a high tree-covered mound in the ground of Ballinacorra House – most likely a motte or earthwork castle from the late 12th or early 13th century. Castleredmond stretches from the shoreline in the centre to the top and right of the photo. Bailick is the shoreline by the Owenacurra estuary, Charleston is the north bank of the creek leading to Ballinacorra. The wooded point in the left midground is Ballyannon Wood dating from at least the 17th century. In fact the subdivisions were derived from local usage and existed for the convenience of the inhabitants themselves. For example, if you take the townland of Castleredmond, which lies between Midleton and Ballynacorra, this covered 486 acres, 3 roods and 33 perches, containing 259 inhabitants in what was then a mostly rural district in 1881 when these figures were published. Now many of these inhabitants probably lived close to the wharf on the Owenacurra estuary in the west.area. But there might be clusters of inhabitants in other parts, say bordering the Youghal Road or on the Rocky Road or perhaps on the Ballinacorra Road. That gives four different clusters of housing where people were concentrated..Imagine a townland where several men bear the name Patrick Murphy. There might be several Pat Murphys spread among the different clusters in different parts of the townland. And one ot two living in more apart in isolated farms or cottages. How would you recognize which Pat Murphy someone is talking about? In speech a nickname was given – Pat Jim Murphy might be the Pat Murphy who is the son of Jim Murphy. Pat Michael or Mick’s Pat might be the Patrick Murphy, son of Michael Murphy. But an official letter is likely to be addressed to Mr Patrick Murphy, Castleredmond, Midleton, County Cork. To whom does the postman deliver the letter? Bailick Cottage. 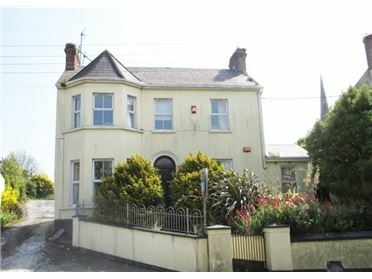 This is actually a very substantial house – a middle class ‘cottage’ from the early 19th century (seen here) with more recent extensions, all giving the house a charming appearance. It stands on the Bailick Road, or Bailick as it is popularly called, in the townland of Castlredmond. One way of getting over this was to insert a local designation into the address – somewhat unofficial, but useful for the postman. So, Pat Jim Murphy might live in a cottage on Bailick Road and might give his address as Patrick Murphy, Bailick, Castleredmond, Midleton while Mick’s Pat could be Patrick Murphy, Lakeview, Castleredmond, Midleton. Perhaps there’s another Patrick Murphy called Pat John, or PJ, for identification, living on Bailick Road – he might liver near Charleston Maltings (run by Bennetts) so his address might be given as Patrick Murphy, Charleston, Bailick, Castleredmond Midleton. Remember these are not entirely official designations, but they were useful for the postman who had to distinguish between the several Patrick Murphys living in one townland. It is possible that similar designations might appear in the local church registers – but this was entirely at the discretion of the priest or clergyman. The practice was probably also used by local landlords who sublet to small tenants. Tarquin Blake’s atmospheric image of the north (entrance) front of Lake View House in Midleton. This early 19th century late Georgian villa was a lovely house, but sadly is neglected by the current owner, a property developer, and is subject to vandalism. The house gave its name to a whole area of Castleredmond townland. 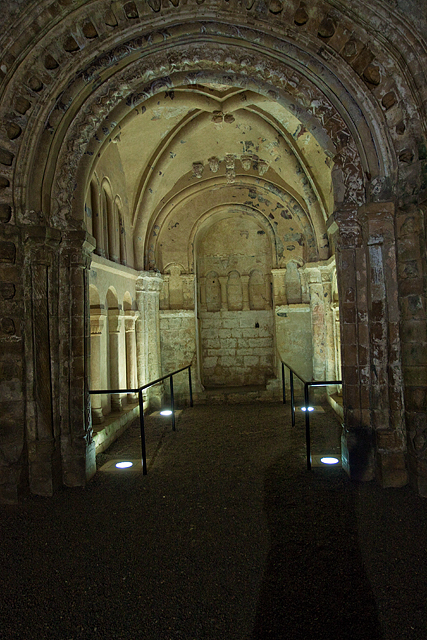 The pointed windows on the left indicate a billiard room, not a chapel. The Check out Tarquin Blake’s vwebsite AbandonedIreland.com, below, for more striking photos. I have suggested that these subdivisions of townlands were somewhat unofficial, but sometimes they were recognized by the Post Office – Lakeview Terrace still stands at the northern end of Castleredmond right next to the modern by-pass, The small terrace of three good houses appears in the first edition Ordnance Survey map so it has been in existance since the early 1840s or late 1830s. But it takes its name from the large house next door – Lakeview or Lake View in the original designation. This house was inhabited by Mr Swithin Fleming, a lawyer, from the 1830s to the 1880s. The lake viewed from the house was actually a broad stretch of the estuary of the Owenacurra River to the west. I suspect that the view as better from the upper floor of the house since the site stands well back from the estuary, at the top of the slope. Today, Lakeview is the name given locally to this area of the townland of Castleredmond – indeed the junction of by-pass with the Midleton to Ballinacorra Road is called Lakeview Roundabout (Rotary to you Americans), and the nearby service station is called Lakeview Service Station. But the houses in the area can be designated ‘Castleredmond’ or ‘Lakeview, Castleredmond’. Why does all this matter? In searching for one’s Irish ancestors, it is necessary to be careful that the correct person in the correct part of the townland be identified. If you are dealing with a name like Murphy, MacCarthy, O’Sullivan, O’Brien, O’Neill etc, this can pose difficulties. If there is another placename linked to the family this can prove to be a subdivision of the townland name – a very useful aid in finding one’s ancestral homestead – even if it is now a ploughed field. Midleton has several areas like this in different townlands. For example, the townland of Townparks, which covers the town center and extends well south of the Roxborough River, includes two areas with very local identification within its boundaries. These are Coolbawn and the Rock. 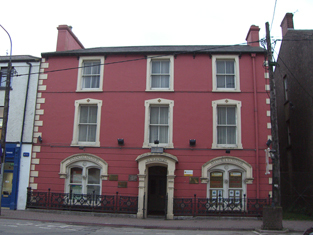 They are not official designations – Coolbawn is the locally employed name for Brodrick Street. Imagine the confusion on the faces of a visitor who is told you can find the Farmgate Restaurant on Coolbawn. Now there are not many streets in Midleton – just five in fact. These are Main Street, Thomas Street, Connolly Street, Oliver Plunkett Street (formerly Bridewell Lane), McDermott Street (formerly Free School Lane)….and Brodrick Street. Every other route is a road or lane, as in Mill Road, Youghal Road, Cork Road, Old Cork Road, St Mary’s Road (still called Chapel Road by locals) or Bridewell Lane (now Oliver Plunkett Street- although its dimensions haven’t changed – it’s still a lane! ), Church Lane, Coach Horse Lane (self-explanatory really) Dickinson’s Lane, Darby’s Lane – and the former Free School Lane (which is still a lane!). The late Georgian terrace on Brodrick Street…..or is it Coolbawn? Confused. Not really. Just remember who’s asking for directions – it’s Coolbawn to the locals, but Brodrick Street to everybody else! Simples! The second house from the right was recently sold and is undergoing restoration at present. Yippie! The point of local designations is that they sometimes tell us something about an area – Coolbawn is the AREA in which Brodrick Street stands, being originally the whole area bounded by the Owenacurra River to the west, the Roxborough River to the south, Main Street to the east and the south wall of St John the Baptist’s Church on the north. The name suggests an meadow between two streams (check!) and subdivided into paddocks, prior to the building of Brodrick Street. However, Coolbawn now refers to Brodrick Street itself in popular parlance….to the dismay of visitors! Standing on remains of the limestone spur that gives this area of Townparks its name, Rock House was recently sold and is undergoing refurbishment – including a whole new roof. The Rock is somewhat different. This lies just south of the Roxborough River on higher ground. Crossing Lewis Bridge over the Roxborough Riverg at the southern end of Main Street, the road splits in two. The route to the right continues up a steep hill, passing Holy Rosary Church towards Convent Cross (a T-junction at the top of the hill where St Mary’s Convent once stood) and then continues down the other side towards Ballinacorra via Castlredmond (and its Lakeview subdivision). From Lewis Bridge the other road forks off to the left cutting through the rock (!) towards Castlemartyr, Youghal and Waterford. The Rock is literally that! 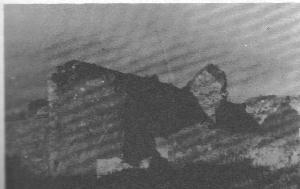 A rocky outcrop of limestone. Actually if you drive along the Youghal Road, you’d be hard pressed to spot it. There seems to have been a spur of limestone going from the hill towards the north. This seems to have been cut through at a very early date to create a direct road to Youghal, but this was probably too narrow for most carts or coaches. For a long time the main route to Youghal ran up St Mary’s Road and through Ballinacorra. Gradually the need to ease the passage of heavily loaded carts in and out of Midleton and the desire to speed up the mail coaches to and from Youghal led to a change. The limestone rock was cut away, perhaps to provide building stone, and a wider road was created. The good news for carters and coachmen was that this route was a much gentler slope for draught horses. By the end of the 1700s this area where the two roads fork began to be built up – and it’s been called the Rock for as long as anyone can recall. The Coppinger family, who had property on the north side of the Roxborough, built the National Bank of Ireland at the Rock in the 1830s. They later built Rock Terrace next to their bank in 1861. Yet the terrace on the rock itself doesn’t even have this name, being simply The Rock! 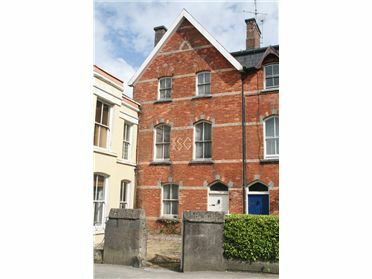 No 1, Rock Terrace, is one of four houses built by the Coppingers in 1861. The ISC made out in yellow brick was long thought to represent Isaac Samuel Coppinger – but who was he? I can’t find him. In fact the initials might be John Stephen Coppinger, or in Latin Johannes Stephanus Coppinger – much more likely! This house, recently sold, is also undergoing thorough refurbishment – even the brick has been cleaned and is now showing up the century and a half of grime on the rest of the terrace. The former National Bank of Ireland, later Bank of Ireland, The Rock, is on the left. Thus, if you are looking for your Irish ancestors, it is worth bearing in mind that even a small townland can have unofficial subdivisions within it. This is a particularly useful point to recall if your ancestor is one of several people with exactly the same name living in the townland at the same time – remember, the number of names in use in the nineteenth century was remarkably limited by our standards.